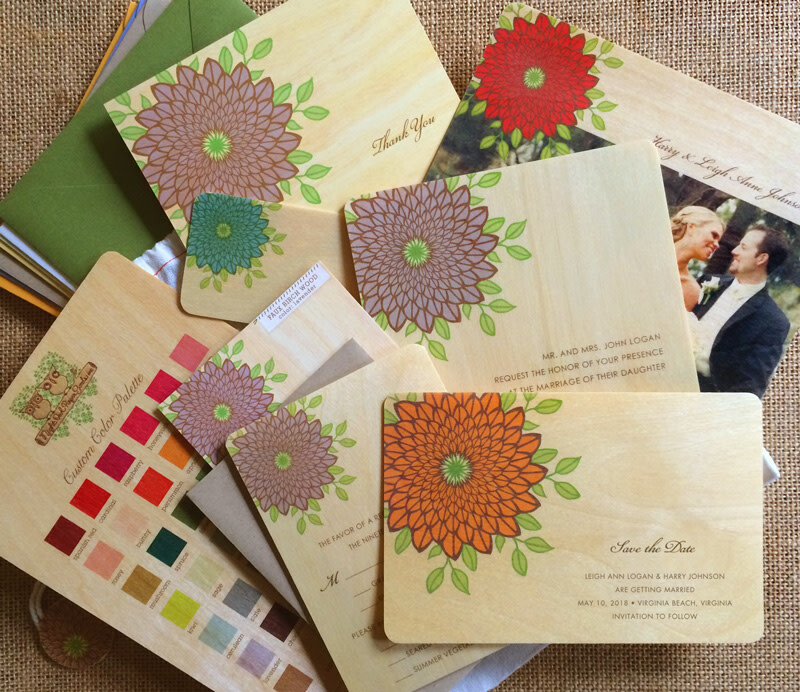 Looking for chic wood wedding invitations that will awe your guests? Let's start with some samples... it's easy! Arrives neatly packaged in an eco-friendly, muslin bag. Didn't find the sample that you're looking for? Please email our Custom Project Coordinator or call 205-453-4007.